johnnie walker — Moey Inc.
For a "House of Walker" event at Fair Market in Austin, TX, Moey teamed up with Havas Worldwide to create custom interactive tasting tables. Each visitor to this invite-only event received a card with a custom R.F.I.D. tag, which could be inserted into a designated slot on the table. The tables delivered animations and information about each liquor on the tasting menu. 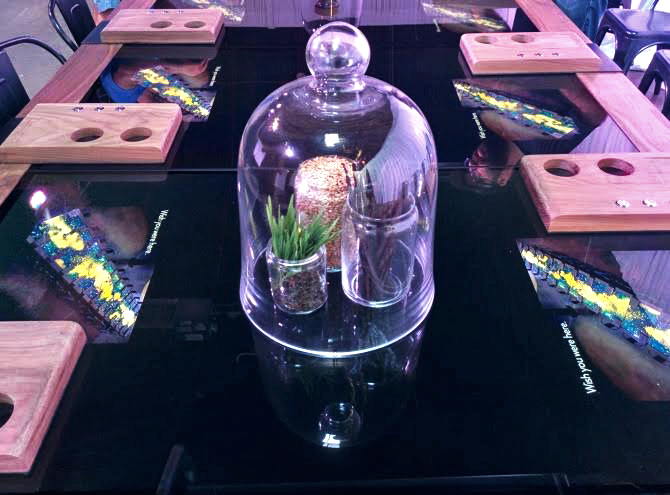 Guests were encouraged to share their discoveries via social media, which was integrated into the tables.